Alongside core library lending and information services, many libraries provide a range of complementary services and activities. There is scope for community managed libraries to expand or develop related services. Advice and guidance to users to develop their tastes and skills and help them access new materials. Research support, and ICT assistance. Developing specialist displays or collections to engage with the community. Translating information resources into locally spoken languages. These services add value to the transaction of borrowing a book (or other material). Heat and light and other facilities. This approach will help host organisations to be more effective and efficient. New income streams may be developed by combining these services with some more enterprising activities that also benefit from developing a critical mass of services in a single location. Organisation should to consider if your proposed services could be hosted by existing community anchor organisations, or if the library buildling could be transformed into a new community anchor hosting a range of community services. Informal or Formal education activities. Children and Young people activities. Such services may be delivered by community enterprises delivering library services, or alternatively, space can be sub let to other community providers and public agencies to deliver complimentary services. Libraries can be centres for education, support and social action. Such provision could be designed from the outset or supported to evolve. Community Organisations should consider how they might prepare for the evolution and development of services and related demands. In the first instance you could simply consider what other services might benefit from a using the library counter such as time-banks or a more formal advice service. Think about which services or types of activity might help you achieve your objectives and those that might detract. Alongside community activities, community organisations should consider the potential of supporting or developing commercial services as income earning activities. Although there is likely to need to be an element of enterprise running throughout every aspect of your library these services are those that are explicitly operating to make financial contribution to your wider running costs? Commercial Services might have a tangential relationship with the library service such as information professional services; or they may have very little to do with the service but add something to the building. Although unlikely to be the main priority for a community organisation, consideration of such activities could make the difference between a viable sustainable community library and one that is constantly struggling to make ends meet. Two stories of efforts to transform and save community libraries in Dorset. Thanks to our contributors from Lyme Regis Development Trust and Friends of Charnmouth Library. The Final Funding Frontier: Enterprising Libraries and…. Locality is pleased to announce that it is working with Arts Council England to explore existing good practice and assess the further potential to enable enterprise amongst library service providers. Do you provide internet access in your library? Do you provide any kind of informal learning, including how to use computers and the internet? 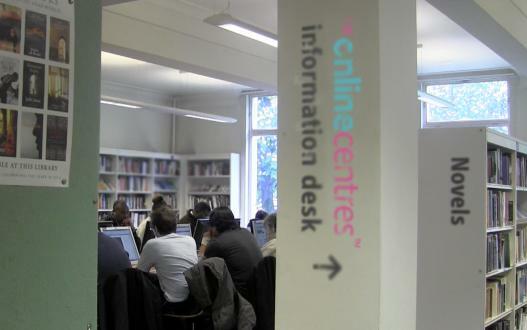 If so, the UK online centres network is waiting for you! i. What is Asset Transfer? iv. When is asset transfer suitable?